Summary (from the inside flap): Seventeen-year-old Lennie Walker, bookworm and band geek, plays second clarinet and spends her time tucked safely and happily in the shadow of her fiery older sister Bailey. 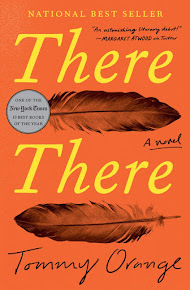 But when Bailey dies abruptly, Lennie is catapulted to center stage of her own life--and, despite her nonexistent history with boys, suddenly finds herself struggling to balance two. Toby was Bailey's boyfriend; his grief mirrors Lennie's own. Joe is the new boy in town, a transplant from Paris whose nearly magical grin is matched only by his musical talent. For Lennie, they're the sun and the moon; one boy takes her out of her sorrow, the other comforts her in it. But just like their celestial counterparts, they can't collide without the whole wide world exploding. Review: I love the cover of this book. There is something about the combination of colors and the richness of the red heart that just grabbed me the moment I saw it. And the story really grew on me as I read. At first I wasn't so sure, but then I got caught up in Lennie's grief, her struggle to make sense of the world without her sister, and her relationships with those around her. Grief. Mourning. How does an author express how it feels to lose the person to whom you are closest? 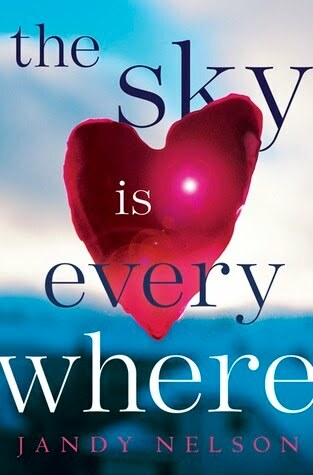 Jandy Nelson did a really good job of this in The Sky is Everywhere. Bailey was Lennie's sister, friend, mentor, and hero. Lennie not only has to deal with losing someone she loves, but someone in whose shadow she lived. Lennie's gradual realization that she is also worthy of love, attention, and admiration are really good. Grandma's view of Bailey and the loss is also very well written. This book could have just been a typical teen romance where the main character is trying to decide between two boys, but that is too simplistic. Toby was Bailey's boyfriend so why is Lennie attracted to him and making out with him? Why can't they stay away from each other? Lennie deals with her grief through Toby, the one person who is suffering as much as she is. Then there is Joe. Wouldn't it be simple to just like Joe? He is her age, carries no personal baggage, etc. But everyone has issues and Lennie needs to learn to deal with hers before she can date either boy in a mature and healthy way. The author included a great mix of teen lust, the human need for love and understanding, and familial relationships that bind us all together.